Hong Kong-based whisky guru Josh Tate takes us on a tour of his local whisky scene. Originally from London, Josh Tate worked as a bartender in both London and Paris before becoming a Brand Ambassador with Chivas Brothers. After a successful spell in India working on the Ballantine’s brand and looking for a new challenge, he moved to Hong Kong to work with Malt Masters, the country’s leading whisky events and education company, where he continues to develop and educate Asian whisky consumers and their growing thirst for knowledge. For Whisky Wednesday, he’s given his outsider-in perspective on Hong Kong’s whisky scene. Where are the best places to have a whisky in Hong Kong? Club Qing is all about the whisky. An upstairs bar in the party district of Lan Kwai Fong, it’s a world away from the carnage below. 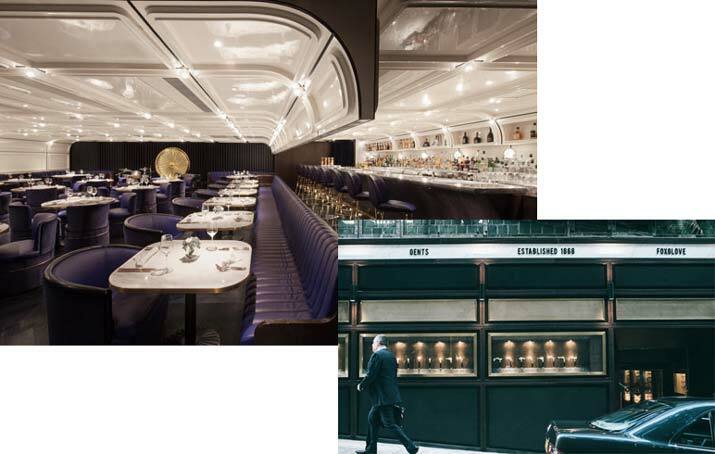 Minimalist interiors and an incredible whisky collection show this place is all about the spirit. The owners have created a friendly atmosphere of regulars and a great place to try a rare dram. 001 is another gorgeous bar. Ring the doorbell and descend into a chic whisky boudoir, with jazz playing softly in the background over the hum of conversation. Get in one of the private curtained-off booths and enjoy one of their brilliant whisky-inspired cocktails. On that note, where else would you enjoy a whisky cocktail? Try the Malt Whisky Bar in the trendy district of Sheung Wantoo. It’s another tough one to find; you have to really know this bar to know it’s here. Inside, it is small, cosy and welcoming. The warm atmosphere is heightened by very knowledgeable and friendly bar staff who, crucially, also know how to make a good cocktail. They have a few good signatures, but what we suggest is sitting at the bar and having a chat with the bar staff. They’ll figure out what you like and whip up something just for you! Whisky bars in Hong Kong tend to keep it all about the whisky – partially due to their size. That said, Angel’s Share, one of Hong Kong’s first whisky bars, does have a small and tasty menu to keep you sober. From whisky-infused beef short rib to pan-fried foie gras, there are some great dishes to pair with a dram. How about distilleries in Hong Kong (or nearby)? Although currently Hong Kong lacks an established whisky distillery, there has been a big uptake in microbrews in the last few years. The best you’re going to get nearby is Kavalan in Taiwan. Growing to be a world-renowned distillery, Kavalan have been producing quality whisky for a few years now. If you haven’t checked it out yet it’s a must try. A local knows that for a great selection of whisky at great prices, pop to Hung Yuen on Jervois Street in Sheung Wan. Jenny and Garry, the mother-and-son duo who run this small shop, have an incredible knowledge and will always find what you’re looking for if you ask. For some interesting bottlings, pop to the Caskells, Hong Kong’s newest whisky shop in K11 mall in TST. This slick shop sells a fantastic selection of quality independent bottlers with some very enticing whisky and glassware on display. We’ve mentioned a few hidden gems inadvertently already, but I think a different vibe would be Foxglove. This high-end ‘speakeasy-style’ bar in central Hong Kong is beautifully designed, has a great whisky list, and does fantastic live jazz performances. Harking back to jazz bars of the 30s with the tables organised around a stage, it’s a great place to get lost in the music and your dram all at once! Not long for such a buzzing metropolis, but Hong Kong has the advantage of being very walkable. I’d start in the rejuvenated suburb of Sai Ying Pun for breakfast, some great chic cafes and good choice of local joints too. Then, have a little stroll towards central through Sheung Wan to check out the old antiques market on Upper Lascar Row and the galleries and antique shops around Hollywood Road. Later, pop to the famous Man Mo Temple on Hollywood to pray for fortune from the gods! Lunch can be had at Dim Sum Square in Sheung Wan, if you want to sample the famous Cantonese cuisine. Xiaolongbao’s and Char Siu are solid favourites. Continue your walk into the busy Soho with its bars and cafes, and check out the boutique shops in PMQ, the old housing quarters for Hong Kong’s police officers. Then, pop to the Peak, the famous viewpoint above Hong Kong, take in the view and ride the old Peak Tram up. 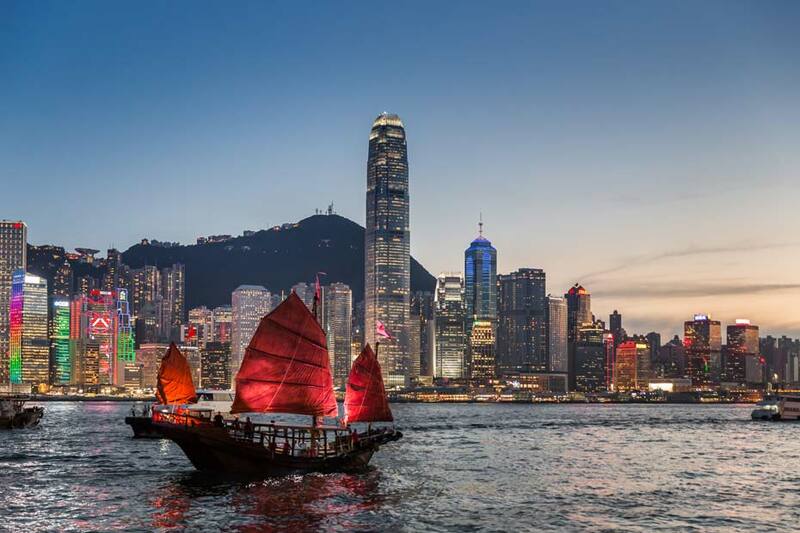 For the evening, take the Star Ferry across the harbour to view the lights of the city from the Kowloon side and join the tourists along the ‘Avenue of Stars’. 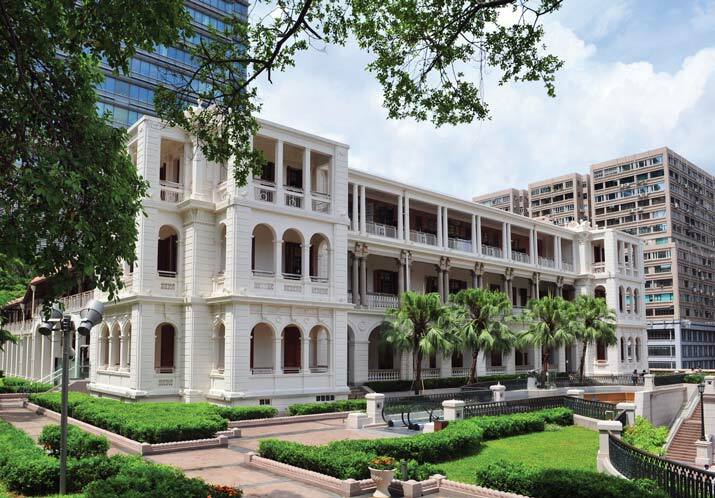 Staying Kowloon-side, go to the beautiful heritage hotel Hullett House and their ‘Whisky Stables’ for a great selection of whisky and bites. Finally, hop in a cab to head to the Ritz-Carlton and the world’s highest bar to end your day. Ozone on the 118th floor is a little glitzy and touristy, but the view gives you a new perspective on Hong Kong; make sure you sit by the window!